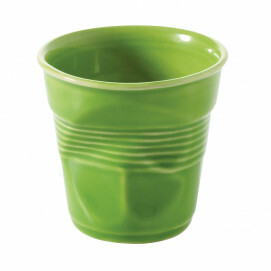 Trendy and colorful, this stylish coffee cup is perfect for your espresso. With its conical shape, our crumple cup is perfect to wake you up and be with you from breakfast until dinner. 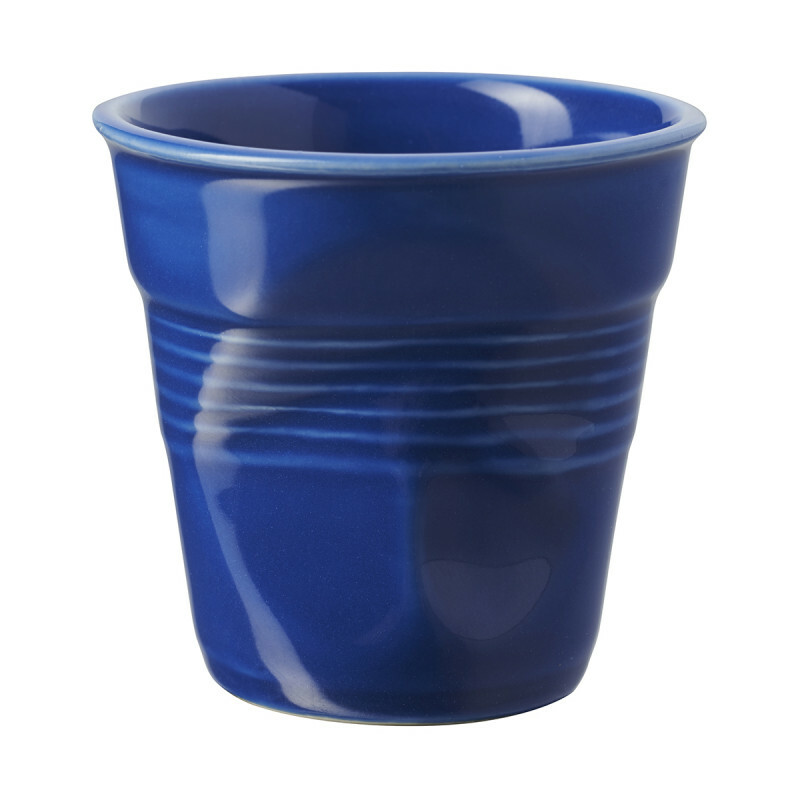 Made to last, our cups are 100% food friendly, sturdy and dishwasher safe. Feel free to use them from the oven to the table, making unique presentation of ice creams, fruits salads, frozen yogurts or muffins. Our crumpled tumblers (or froissé in French), are now Revol collectors for all our Revol lovers and are now made in important quantities by our expert hands in the Saint-Uze factory. 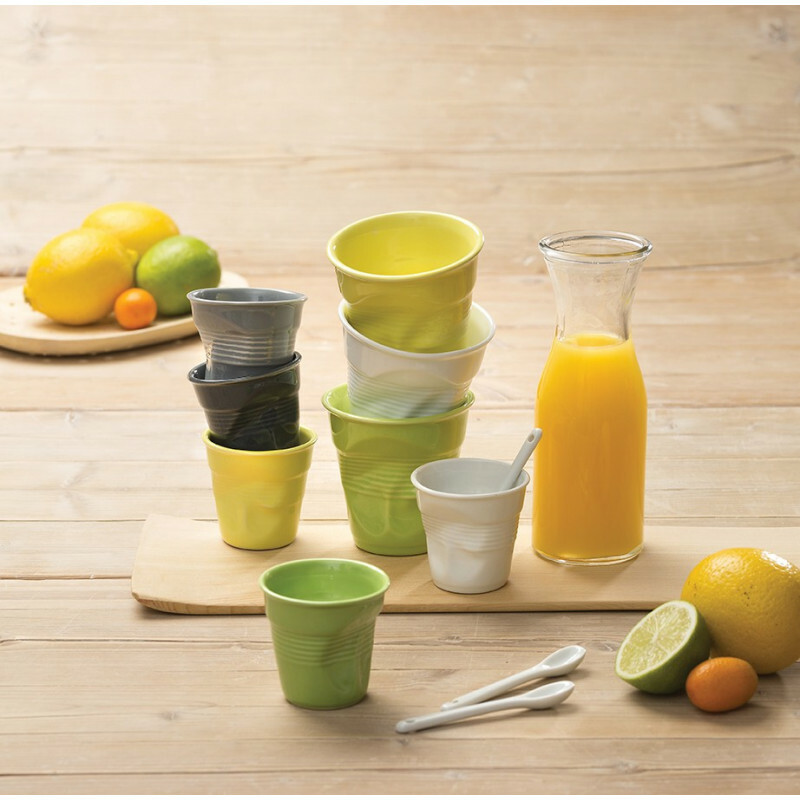 Mix, match and color your kitchen and your relaxing breaks!